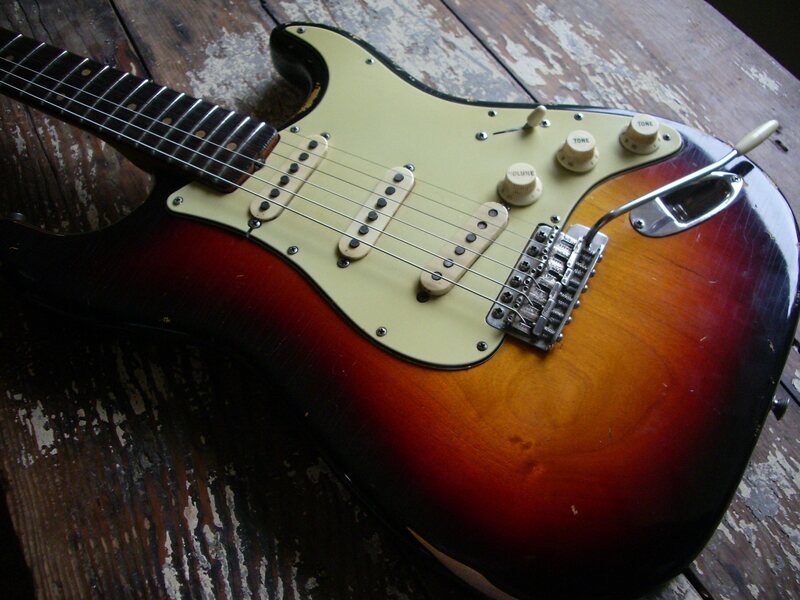 Here is a 63 strat we refinished featuring a 3 tone burst with lots of red in it. 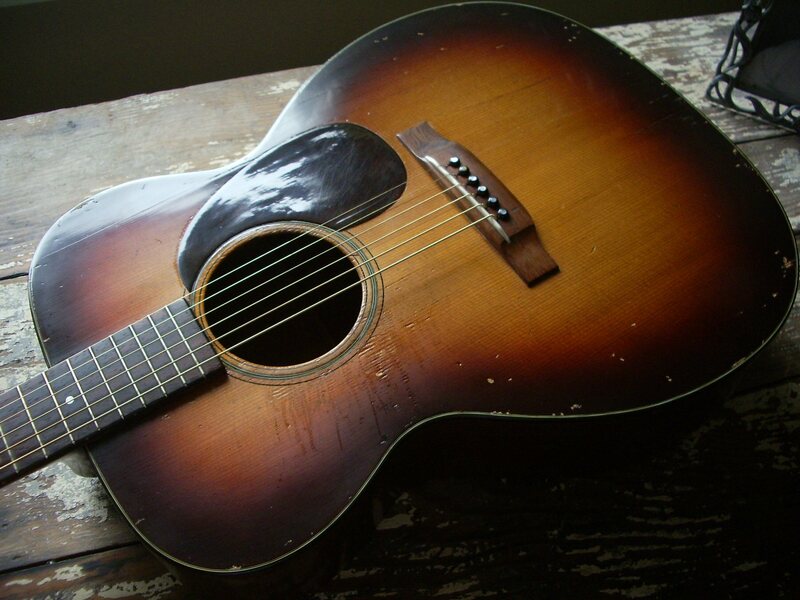 We incorporated the original wear into our aging job. 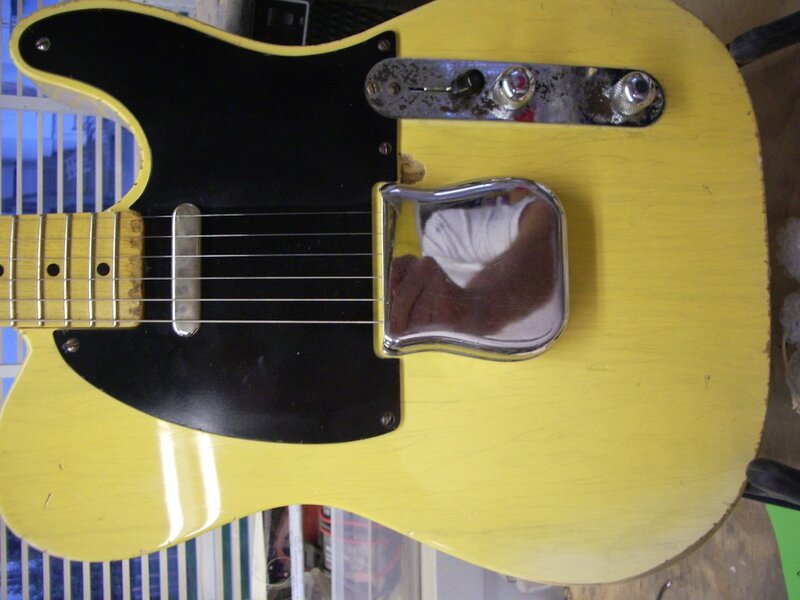 This is a bound tele custom I built around a bunch of old parts I had. 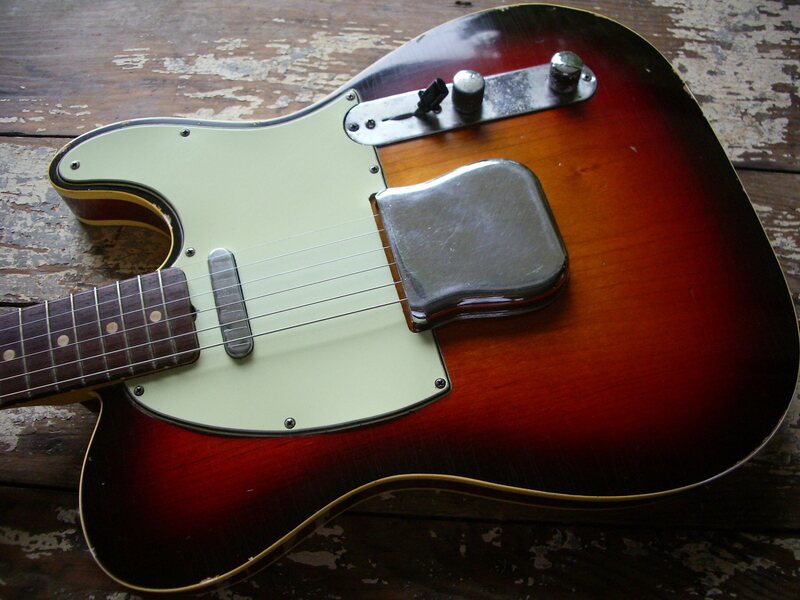 This burst has a strong red component in it and features oxblood sides like the earlier tele customs. 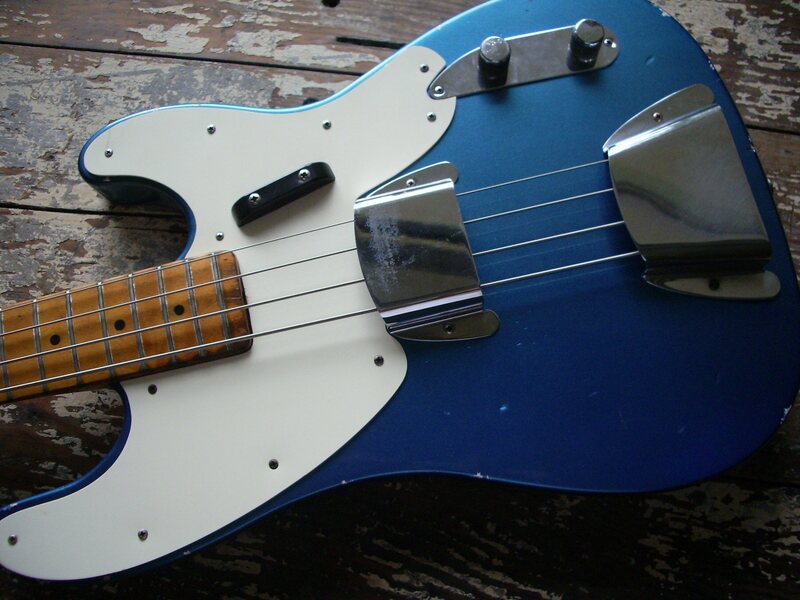 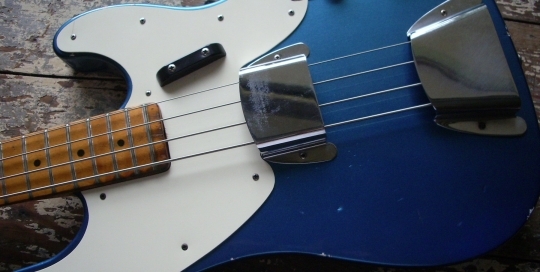 Here is an early tele bass with Lake Placid blue finish. 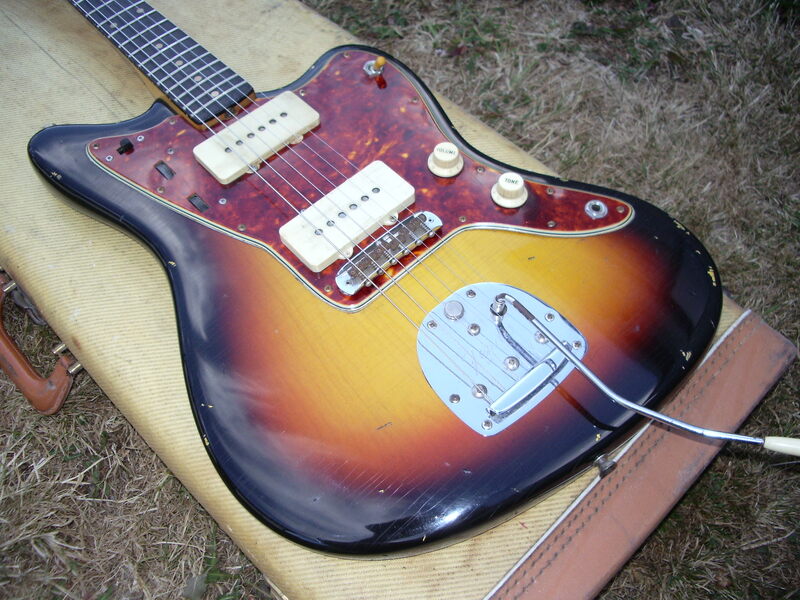 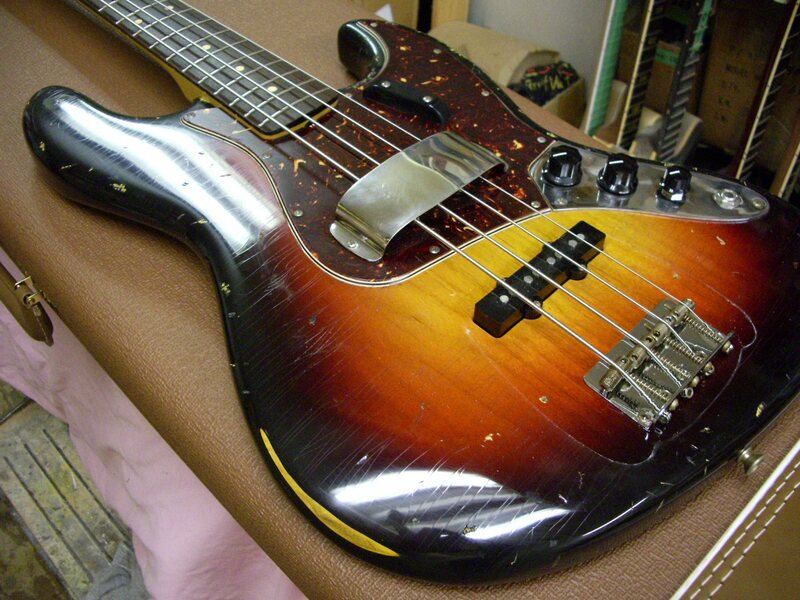 Here is a jazz bass done in typical early 60s three tone burst. 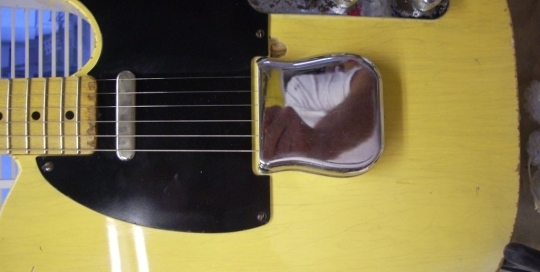 Here is an early blackguard tele we restored for a customer. 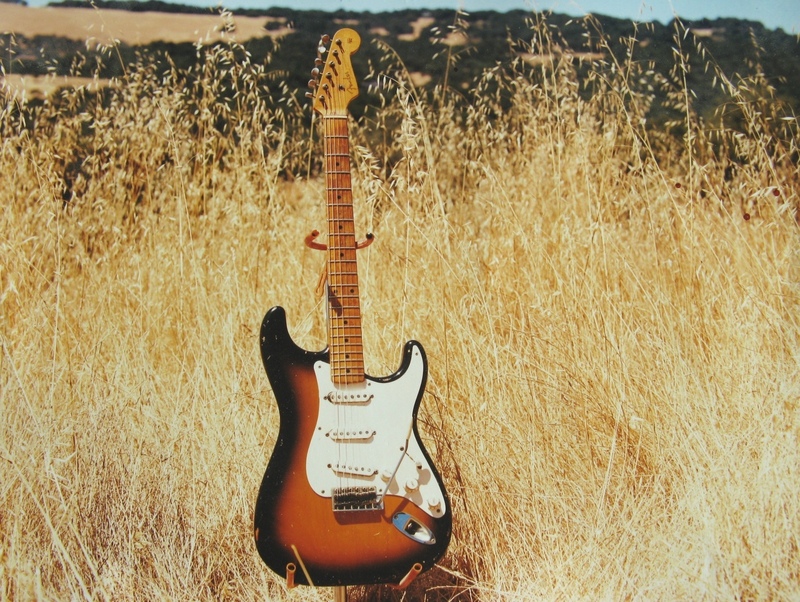 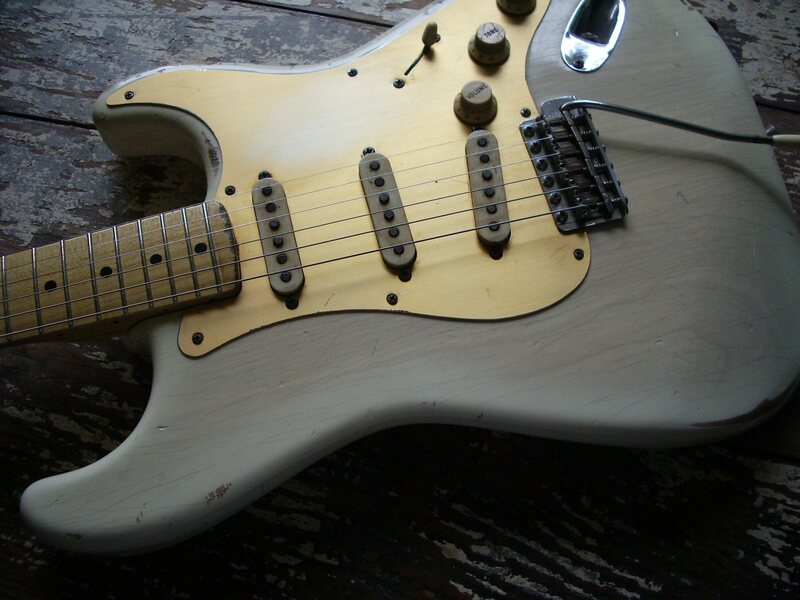 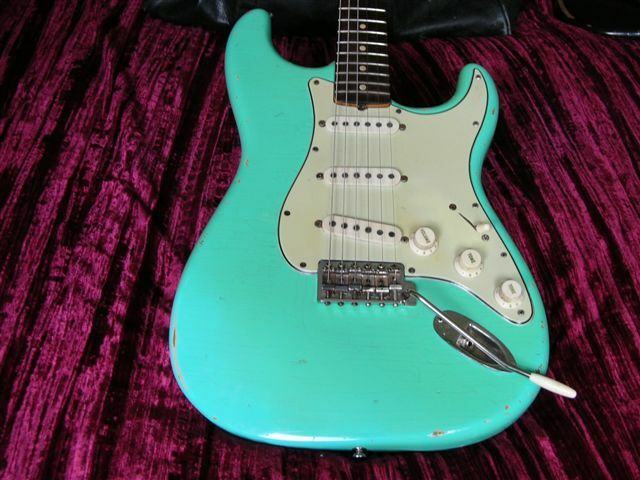 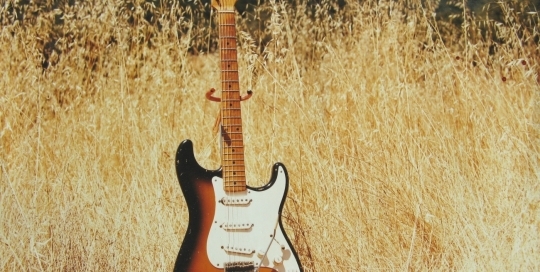 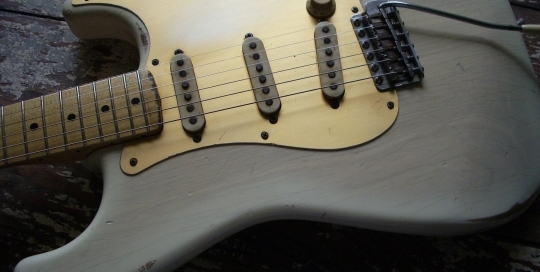 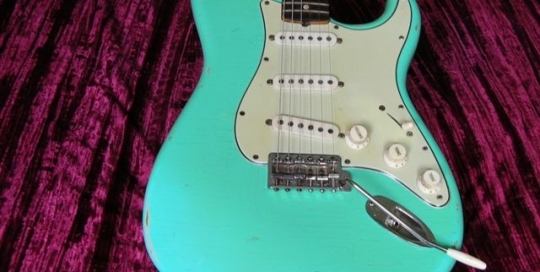 This is a 1956 Strat I did a body-only refin on for Dave Westerbeke of California. 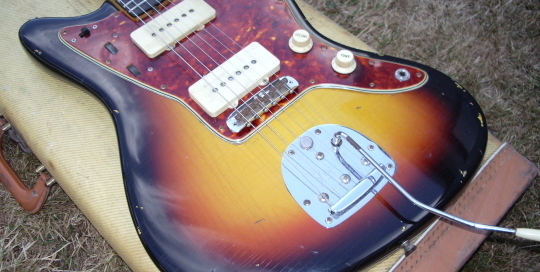 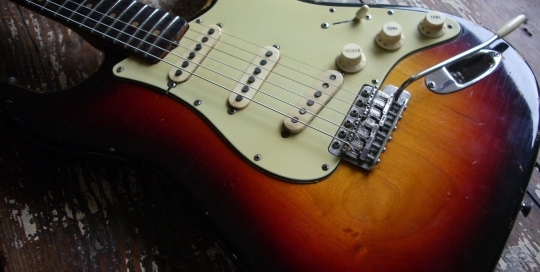 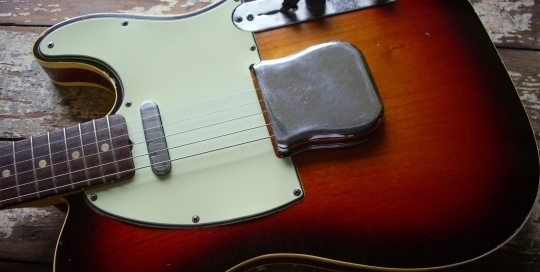 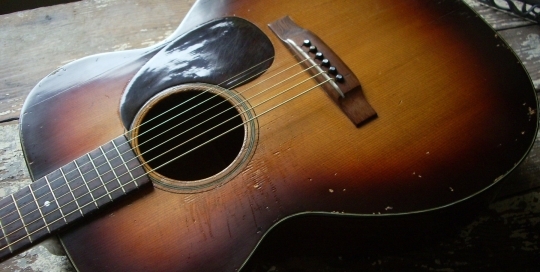 This was a difficult one because I had to blend to the original finish which was still present under the pickguard. 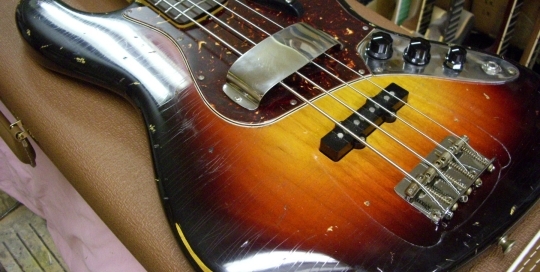 It turned out real well…Dave says I “hit it right out of the park” …I like that!